While this statue isn’t life-sized, this is a fitting tribute to a giant of Japanese cinema. The Shin Godzilla statue went up in Tokyo’s Hibiya, where Toho Studios was born. The plaza was previously called “Godzilla and Toho Plaza” and featured a much smaller statue that was unveiled in 1995. The plaza is now called Hibiya Godzilla Square. Kyodo News reports that the new one is 9.84-feet tall, including the platform. Godzilla itself is 8.2-feet tall. Toho says this is the largest Godzilla statue in Japan, but the country is home to bigger ‘Zillas. 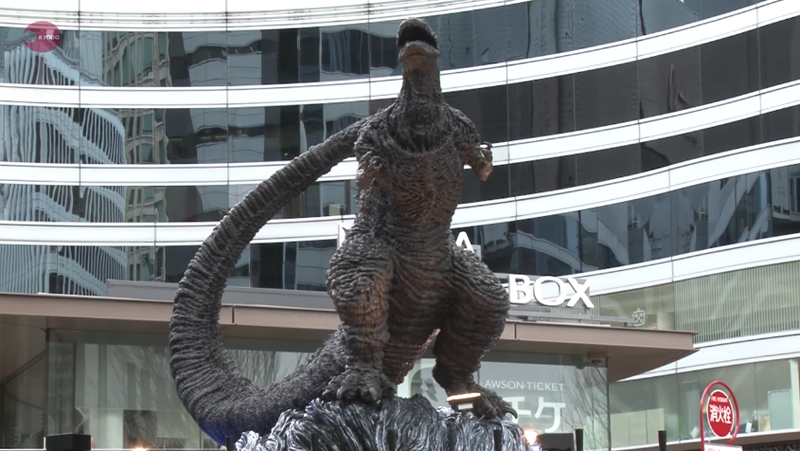 The previous statue carried an inscription that read, “I don’t think this Godzilla is the last one.” It will find a new home at Toho Cinemas Hibiya starting later this month.